My older sister Nadia celebrated her birthday this week and she decided to do something a little different: she held a competition for the best vegan recipe. We were all asked to make a vegan course of our choosing and her favorite one would receive a prize. Mark and I got excited about it and decided to create her two favorite things: cookies and pizza. Now, I love cookies and pizza, so I didn’t care if we won or not, I was still going to be happy. Mark watched the Food Network show The Best Thing I Ever Ate Pizza edition to get inspired. He combined two different pizzas he saw and made it vegan. 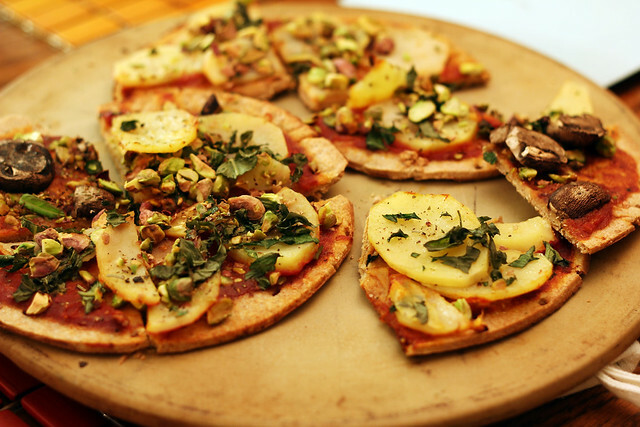 His created a Whole Wheat Potato Pistacio Pizza with fresh basil and italian parsley. It was so delicious! I was certain he was going to win, but my sister declared my Peanut Butter Sweet Potato Walnut Chocolate Chip Cookies the winner (Get the recipe here). Mark won a runner up and my sister Sarah won 3rd place with her savory Curry Soup. 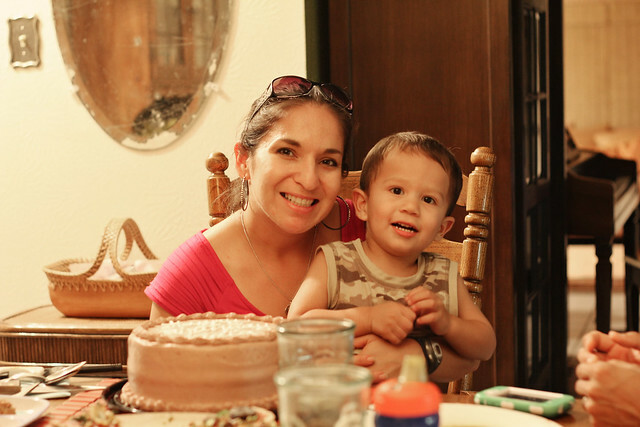 ￼Nadia’s husband Eugene ordered her chocolate birthday cake from Mr. Natural in Austin. 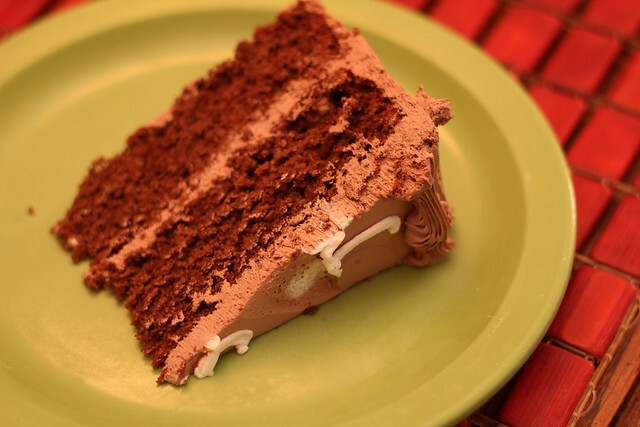 It had the most delicious icing I’ve ever had on a vegan cake. I really recommend Mr. Natural’s baked goods. It was a wonderful idea for a birthday dinner. 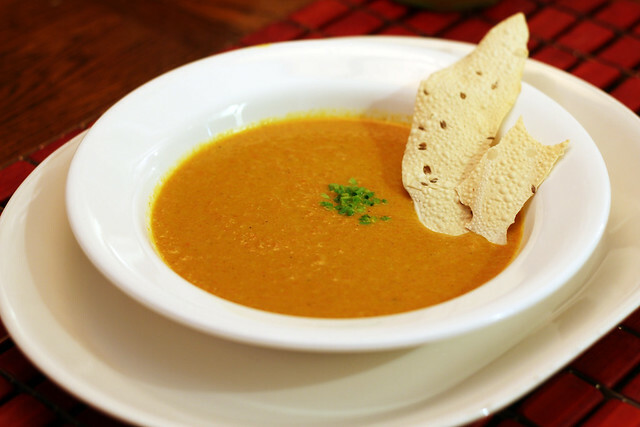 We got share recipes and try new ones out. Mark and I will be making his Potato Pistacio again soon and I’ll be sure to share the recipe with you! This entry was posted in Celebrations + Holidays, Chef Sarah Lee, Family + Friends and tagged Birthday. Bookmark the permalink.